We’re all a little obsessed. But for some entrepreneurial It-Girls, tweeting, posting, ‘gramming, and snapping became more than a hobby. 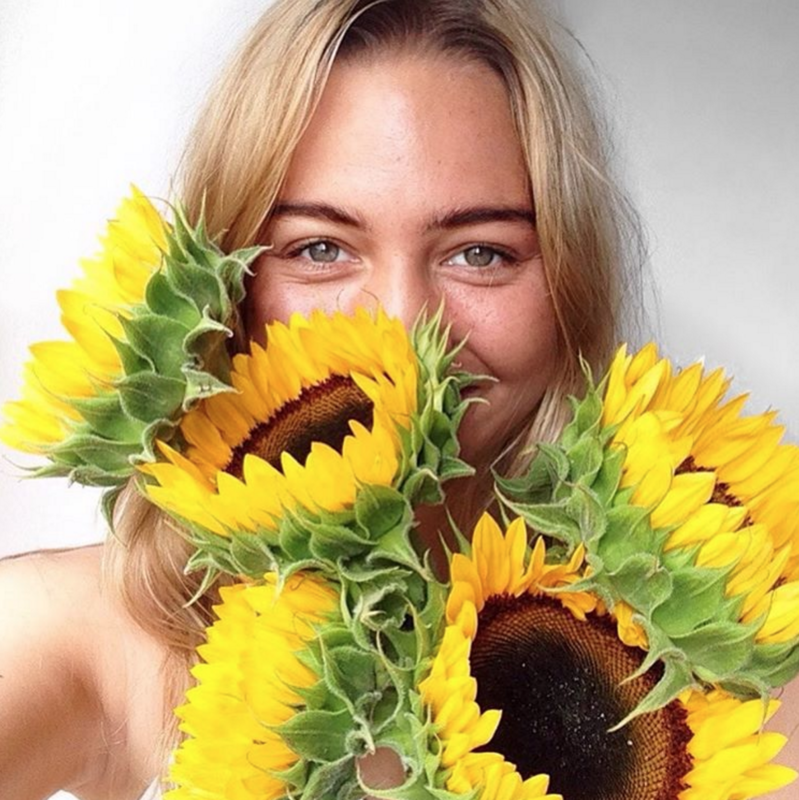 Wielding power over our buying decisions—from hotel bookings to daily quandaries over lip color, what to wear and where to eat—these ladies found a way to convert followers to consumers, and social media prowess into legitimate businesses. Here’s how did they did it. Natalie Zfat, Social Media Entrepreneur, Writer, and Co-Founder of The Social Co.
How did you get started with social media and posting about your passion? It was never my plan to make a career out of (social media) because I didn't even know people got paid from it. It was not until someone asked me what my rates were for a post and that’s when I realized that people made money! I started posting makeup pictures because that’s what people liked seeing on my page most, and I wanted my followers to enjoy following me. After I graduated, I moved to Paris. I took photos of absolutely everything, wanting to document my experience. I had so many pictures I wanted to share—food photos included—so I decided to create an off-the-books account. I told absolutely no one; in fact, many of my friends have only recently discovered Downtown Fox. While I was traveling around Europe, I realized that I had a knack for finding the local gems that most tourists would never discover. I decided to use Instagram as not only a way of documenting my own travels, but also to help other travelers craft their own adventures. This generation is filled with young people who truly care about where they stay, what they eat, and how they explore. Downtown Fox seeks to steer them in the right direction with neighborhood guides for New York, and beyond! I was writing and blogging for Rolling Stone in 2008–and I realized that media consumption was changing in a major way. Our joint fashion blog, thewanderlustgirls.com, came about our senior year of college. We grew up across the street sharing our wardrobe, so it was only fitting we launch a blog showcasing this passion. What was your first social media “channel” or blogging portal? JP: Out of all the social media channels, I started with Instagram. NZ: I started a personal Twitter account (@nataliezfat) the following year to share some of my articles, and the response was enormous. It was the first time I had real-time feedback on my writing. WLG: Our first social media page for our blog was Facebook. Next up was Twitter, and then followed Instagram. This was generally the order in which they were created. We try out hundreds of apps and sites, but these are definitely the most valuable to our business. What made you realize that you were good at what you do? WLG: We moved to NYC as “bloggers” with no real vision of what our career would become. We would style shoots from our personal wardrobe, and brands began to repost and sing our praises. We’ll always remember when Jeffrey Campbell, Betsey Johnson, and Rebecca Minkoff posted about us. After attending several fashion events, we were surprised when designers would approach us to style their lookbook or campaign based solely off of our blog. It wasn’t our intention to become Wardrobe Stylists, but it was such a wonderful organic realization. DF: Whenever I go on a trip, whether it's a train ride to Brooklyn or a flight to Tokyo, I spend hours researching the hippest neighborhoods to roam, the best restaurants for feasting, the most offbeat places to see, and the most quaint coffee shops for unwinding. It didn't make any sense to keep this to myself, so I decided to use Downtown Fox as a way to share it with others. The instagram has become so popular, that we've launched a website this winter with neighborhood guides as well as roundups of things to do on the weekend. NZ: I started getting messages from a good amount of strangers asking me how I grew my following–or if I’d ever publish tips on how to build a social media community. Like any good entrepreneur, I recognized a demand and created a supply. JP: It started from school; Everyone would come to me for makeup tips, even though I didn't really have a clue what I was talking about—but I was always that person that go-to person. Also, the reaction to the posts I would put up—I got such good feedback. What brands have you represented or worked with? NZ: Dell, American Express, Food Network, Refinery29, Showtime Networks. JP: I get sent makeup from different brands all the time, but Makeup Forever invited me to Paris for a makeup event, and hopefully I will be doing more work with them in the future. The event was wonderful and the team are so lovely! DF: I've worked with local brands, like Kitchen Surfing, Graze, and Natalie's Orange Juice, as well as household names The New York Times, The New Yorker, Barnes and Noble, and Walgreen's. This past summer I traveled to Paris to celebrate and promote the 15th anniversary of Parisian food guide Le Fooding. In addition, I’ve begun collaborating with Google for their Local Guides launch. WLG: We’ve been fortunate enough to work with major companies such as Bloomingdale’s, Target, Kenneth Cole, Ulta, Dove, Perrier, Royal Caribbean, and many others. Are there any that you are targeting to partner with next year? JP: My dream would be to work with cosmetic brands like Mac and NARS. When I first got into high-end makeup, Mac was always the place I would go; walking into my bedroom is like walking into Mac. Seriously I love Mac! DF: I would like to affiliate the site with the fashion industry—perhaps collaborate on some city guides during fashion week. I'm excited to be attending New York Fashion Week and Paris Fashion Week this February. WLG: We try not to predict or push certain agendas, but expect to see a lot more travel and lifestyle pieces on our blog in 2016! NZ: I’m always open to working with brands that are open-minded, creative, support small business and embrace equality. Have you been compensated to post, review or promote brands? WLG: In the beginning it’s a lot of free product, in hopes that you post about them and tag on social media. If we like it, we probably will incorporate it somehow. There are of course times when it doesn’t fit our style, and we’ll send it back. Once we established a loyal and ever-expanding readership, we put a value on posts for each platform. Compensation really varies based on involvement. For us, it ranges from $100-$1,000 per post. JP: Brands have paid me to be featured on my Instagram for more exposure but I would never promote anything I didn't like; I wouldn't lie to my followers and I’ve rejected good amounts of money because I want to remain loyal. NZ: Most of my contracts prohibit disclosing compensation details. It really depends on the campaign. Compensation can range from $500/Tweet to $10,000 or more for a video or event. DF: I've promoted a variety of products: restaurants, events, wine, NYC services, clothing and accessories, as well as hotels and travel. The first few collaborations involved an exchange; a company would send me something, and I would promote it on Downtown Fox. After the account’s popularity grew, I began receiving offers to promote events and products for compensation, and create event-specific neighborhood guides. Compensation ranges from hundreds to thousands, depending on the type of sponsorship. All sponsored posts are always disclosed to my followers. What’s next for you? What is your business goal for 2016? JP: I would love to have a product of my own that has my name on it; and that other people can own. NZ: I’d love to continue to build and mobilize my audience to be inspired by, think about and act upon what they read on my channels. DF: I'm looking forward to launching the new and improved Downtown Fox website this winter, complete with updated NYC neighborhood guides. I have a couple of exciting collaborations in the coming months, and a launch party with the hottest up-and-coming chef in NYC! WLG: Our goal is to increase our business and following across the country, and internationally, and to create more unique and inspiring content. What advice would you give to young women considering starting similar businesses, or any business at all? NZ: My advice for anyone–female or male, entrepreneur or otherwise–is: be bold. Ask for what you want. Put in the time. Convince everyone around you that you’re equal parts hungry and hard-working. JP: Make sure it’s something you want to do, and be true to you and your followers, and also be patient: Getting where you want to be is not easy and it takes time! DF: When I first began to develop Downtown Fox, as excited as I was, I had a really difficult time explaining to parents, family friends, and in particular, my 94 year old grandfather, what I was doing with my life. It was discouraging! But social media-based businesses are one of the few fields dominated by women - all of my favorite bloggers were women a few years older than I. They resonated with me, which was encouraging. They call it social media for a reason - women who seek to make a career out of it are generally friendly, engaging, and want to network with other creators. I've made some lasting friendships with other female entrepreneurs through instagram - many of them started with a simple DM or email. Don't be afraid to put yourself out there - contact your favorite blogger and ask to get together, or to share a bit of advice. The worst thing that could happen? No response! At least you tried. WLG: Our advice is to be confident in all your endeavors. Sure, there is a lot of oversaturation in the blogging world, but everyone is looking for the next best thing, or for someone they feel they really connect with. It is not too late to start blogging, because if you have a voice, someone wants to hear it. Interested in more career or entrepreneurship stories? Get article exclusives and be first to know about new pasts: Follow @shindychen on Twitter, on Instagram, and @realshindychen on Snapchat. Stay tuned for more from Shindy Chen. Awesome interviews Shindy. Totally impressive and inspiring! Loved this post! Super informative. Thank you Shindy! crose and 9 others upvoted this.